1. Standing > Sitting. And this is why I take advantage of every opportunity to get in extra walking...I make walk dates with friends, park far away from the entrance (less so when I'm lugging the carseat, if I'm being honest though), and take care of nearby errands (Target, library, post office, etc.) by foot as much as possible! 2. I mentioned in January that my sister Renatta is studying abroad in Spain this semester. 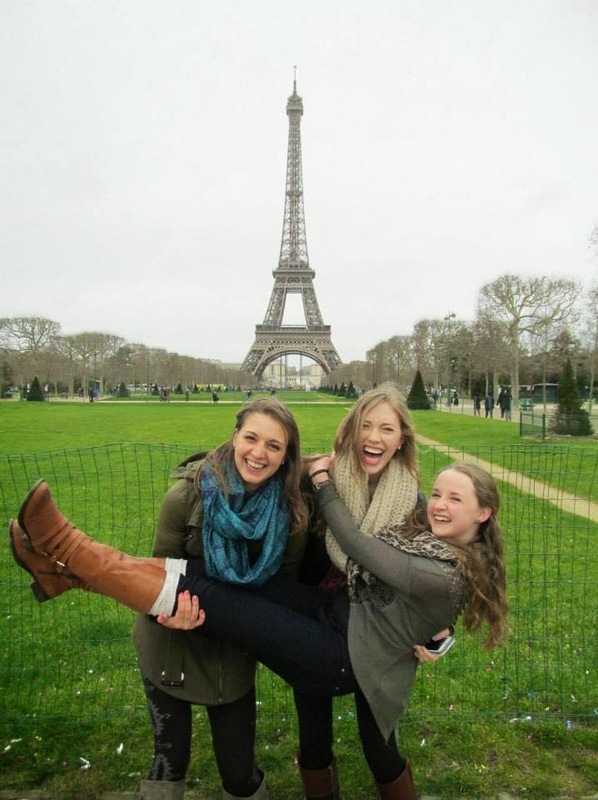 She and her two roommates started a blog, If You Give a Girl a Passport, sharing the good, bad, and ugly of their travels in and around Europe. To be honest, Renatta is the real writer of the family and her posts are hilarious...two of my favorites that she wrote include her Valentine's Day post and her post about the differences between living in Spain and living in America. Really the whole blog's a gem though. Give the girls some pageviews, you won't be disappointed! 3. Calling all moms out there! 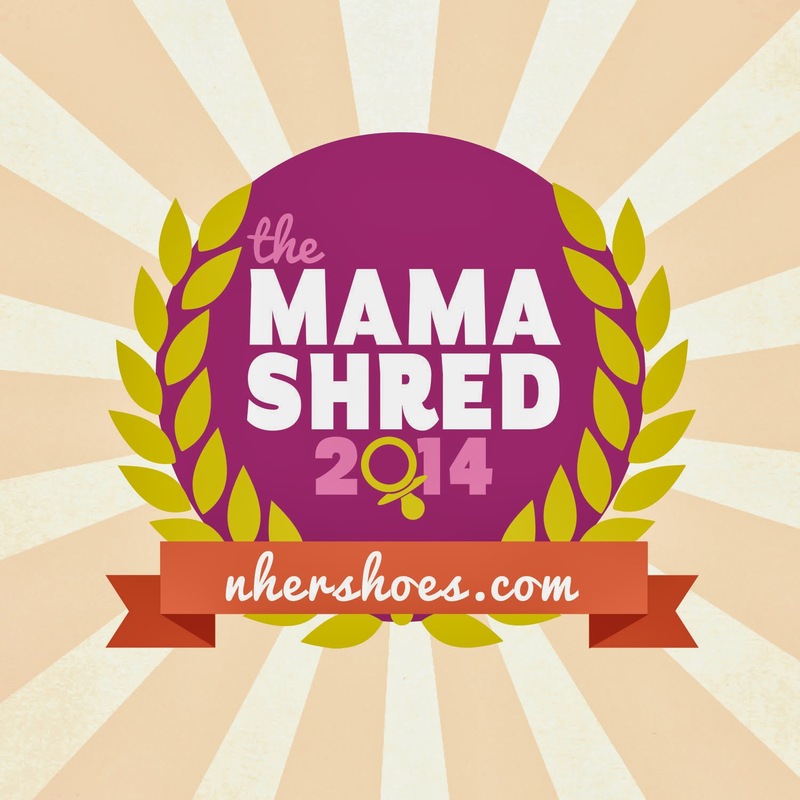 My friend Bobbi (who I had the pleasure of meeting a few years ago at the Foodbuzz Festival) is a personal trainer who created a Mama Shred program to virtually train moms from all over the place. The program comes complete with a weekly meal plan (complete with shopping list! ), weekly workout schedule, and a private Facebook group where moms hold one another accountable and keep one another encouraged. I had the privilege of being a part of the March group (you sign up monthly) and while I didn't follow the meal plan, I loved having workouts spelled out for me. I didn't follow it religiously since I have been doing an assortment of all sorts of exercising, but for people looking for motivation or direction, this is perfect! Bobbi explains the exercises well (including videos or pictures for anything confusing) and answers any questions via Facebook. She's getting ready to sign people up for Mama Shred April, so be sure to shoot her an email (nhershoes@gmail.com) for more details! 4. Craving salad? It's the time of year for it! I've recently made this kale salad with apples, craisins, and feta as well as the strawberry and mandarin orange salad (pictured above). Both are great side salads for dinner, or can easily be made into a main dish salad with the addition of some grilled chicken. Goodbye soup, hello salad!